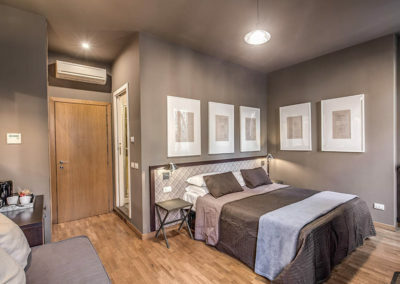 We have three different room types: ” Superior “, ” Standard ” and ” Economy “. 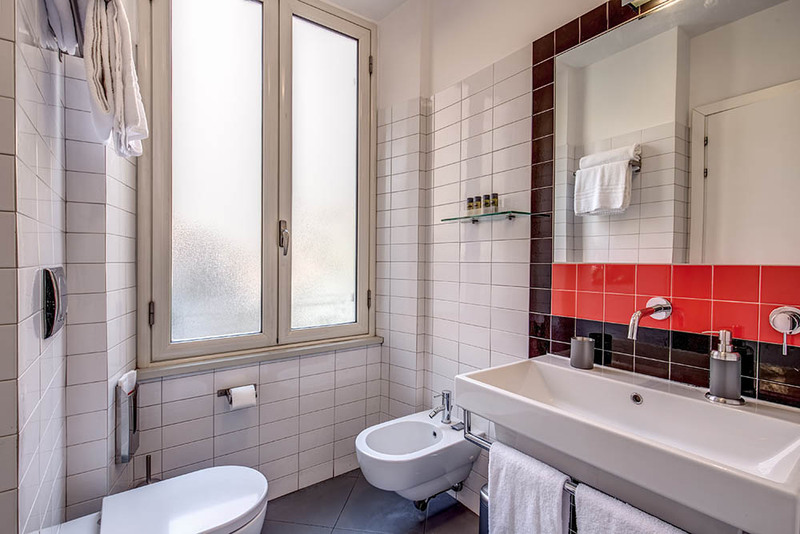 All equipped with most modern facilities, they are also characterized by the unmistakable taste of the Italian design, attentive to detail. 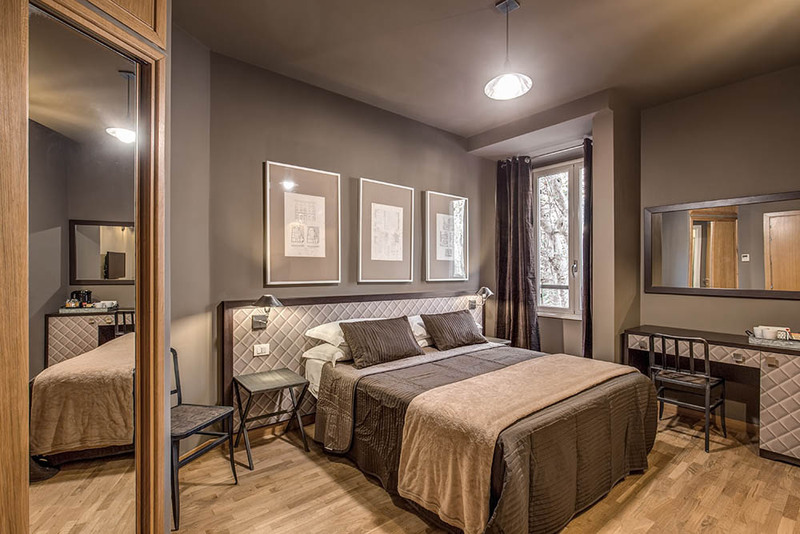 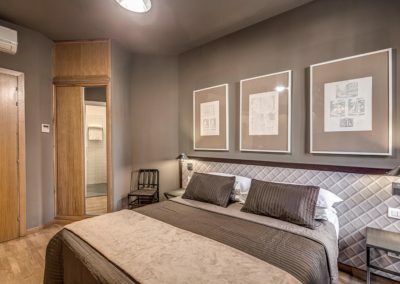 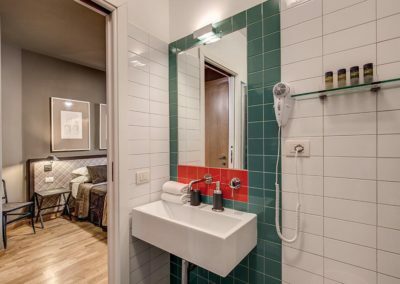 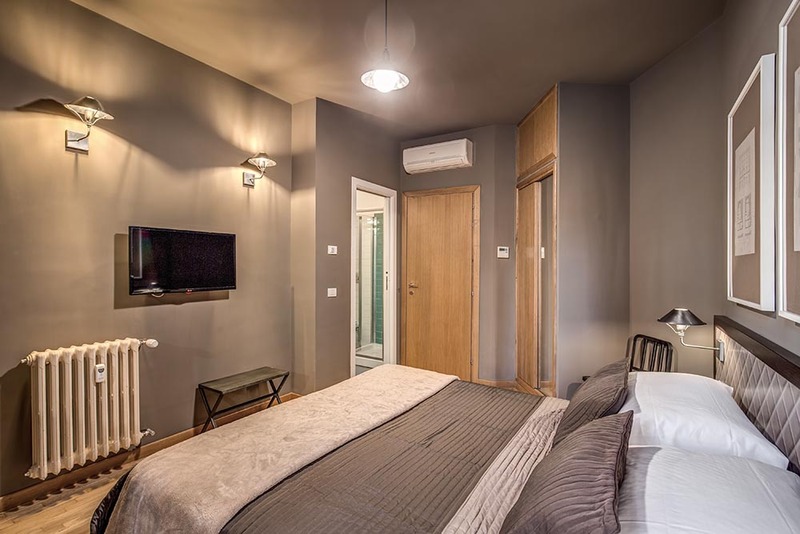 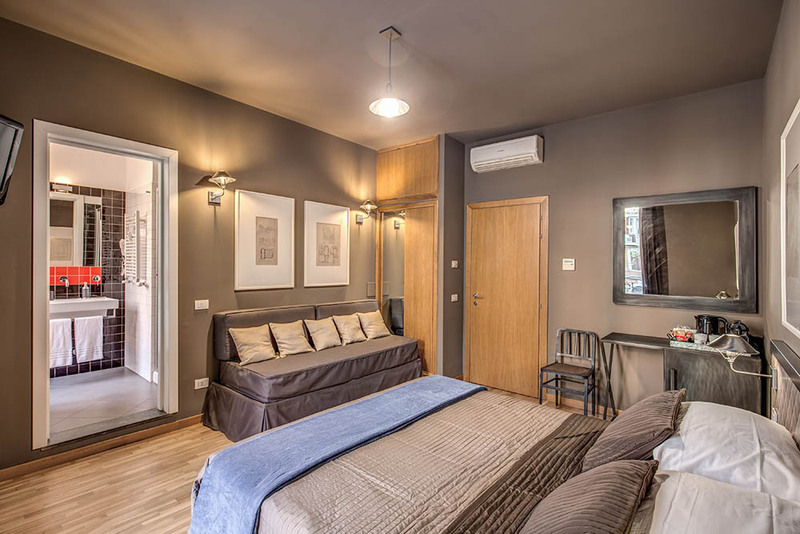 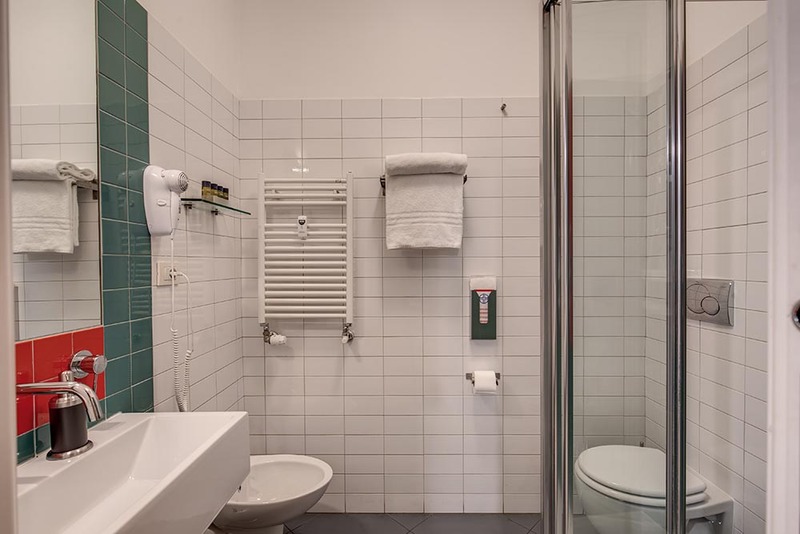 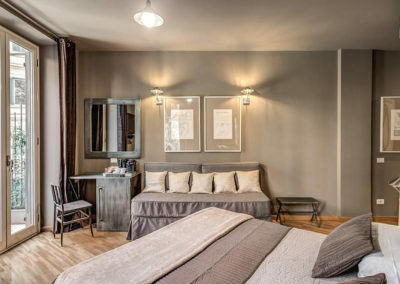 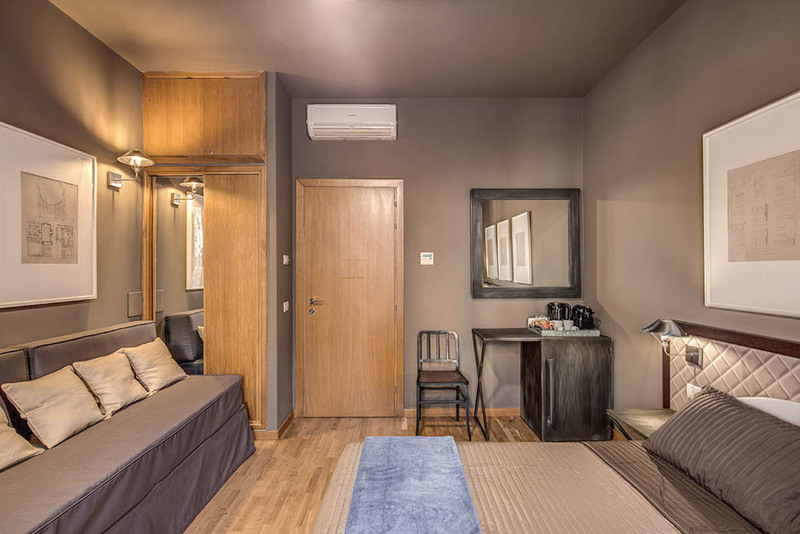 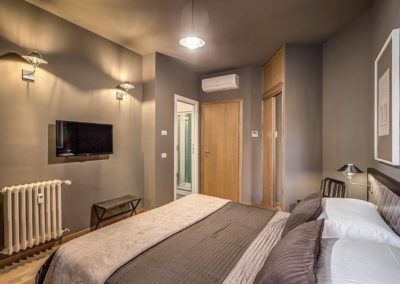 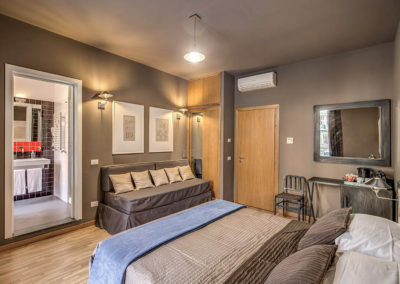 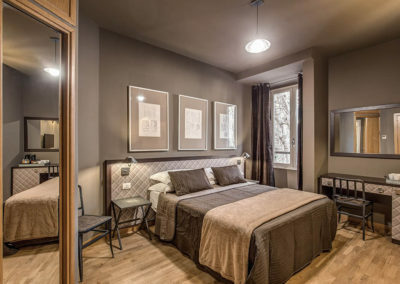 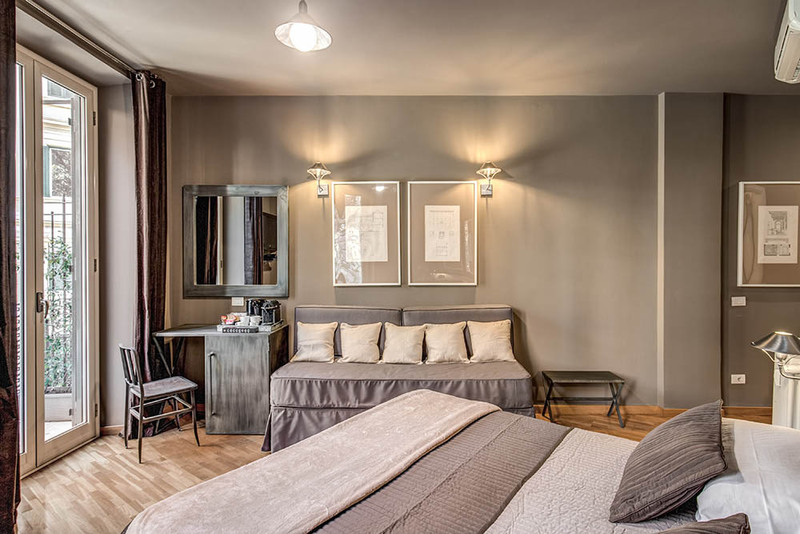 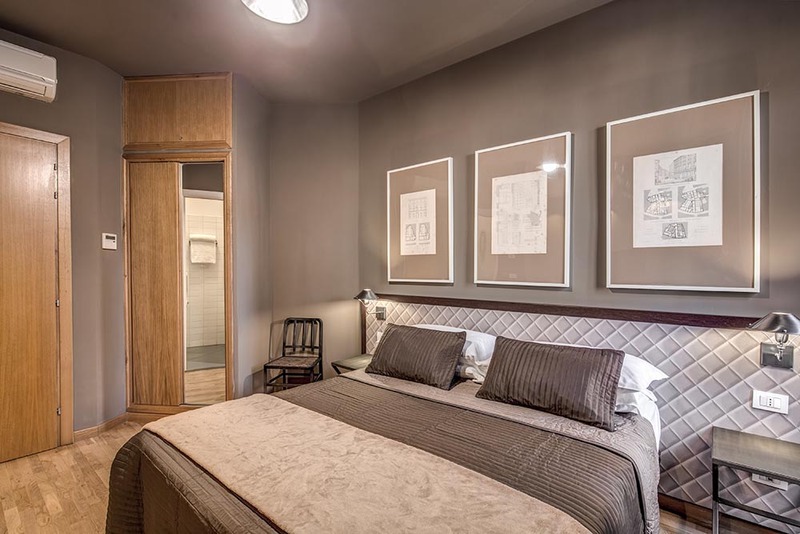 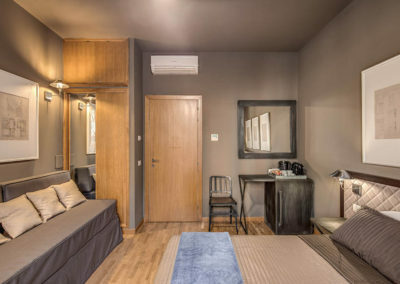 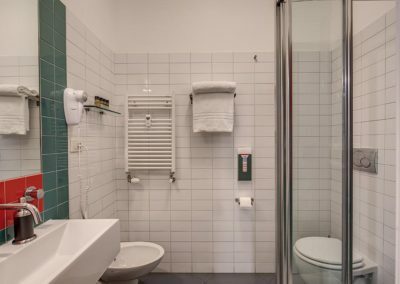 Cosy and quiet, these environments have the essential characteristics for a stay based on relax and tranquillity, the best reasons to choose ZERO6 guest house. 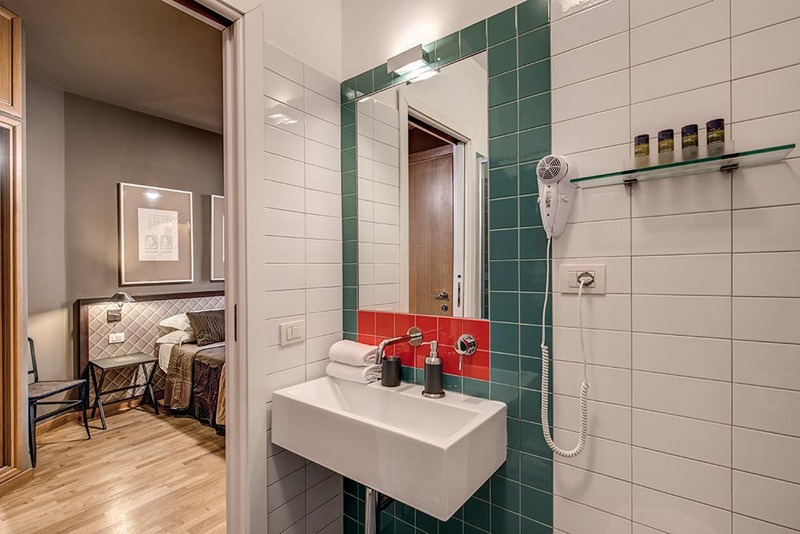 Standard rooms feature modern design and impeccable service. 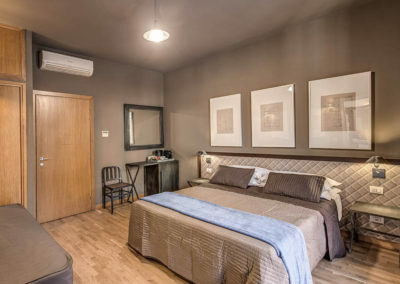 Spacious and quiet, they are the perfect solution if you do not want to miss anything from your stay. 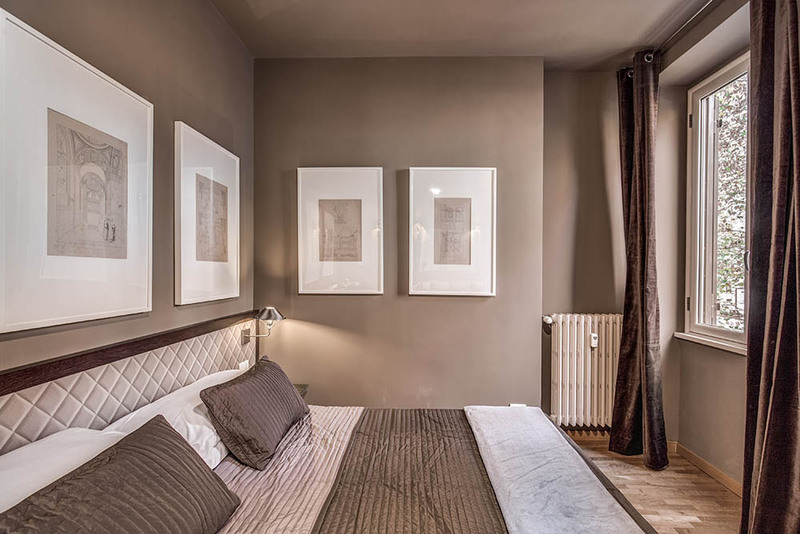 The Superior Rooms are characterized by the generosity of the spaces and the characteristic terrace that surrounds them. 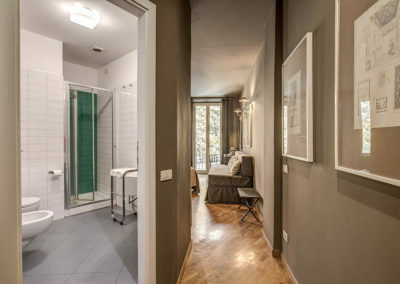 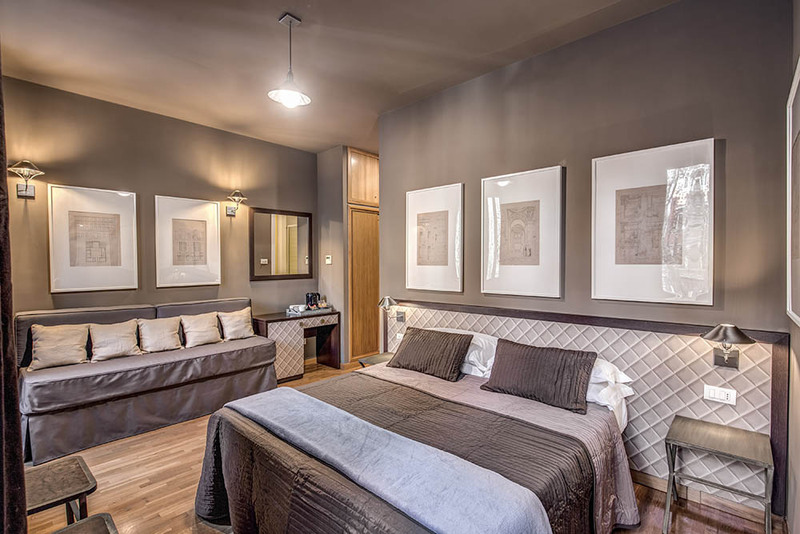 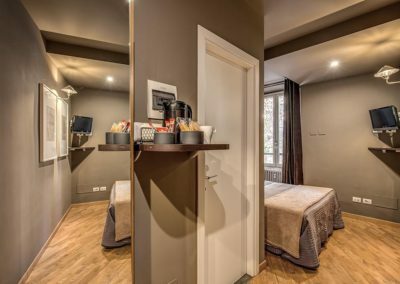 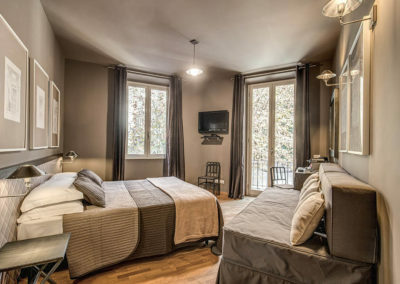 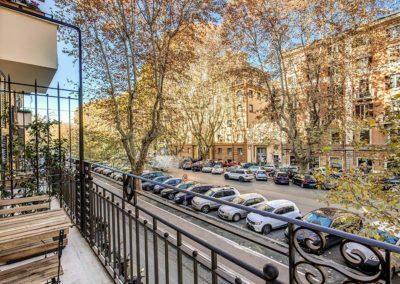 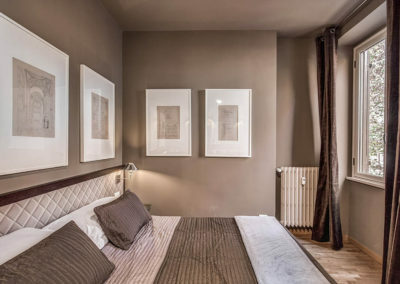 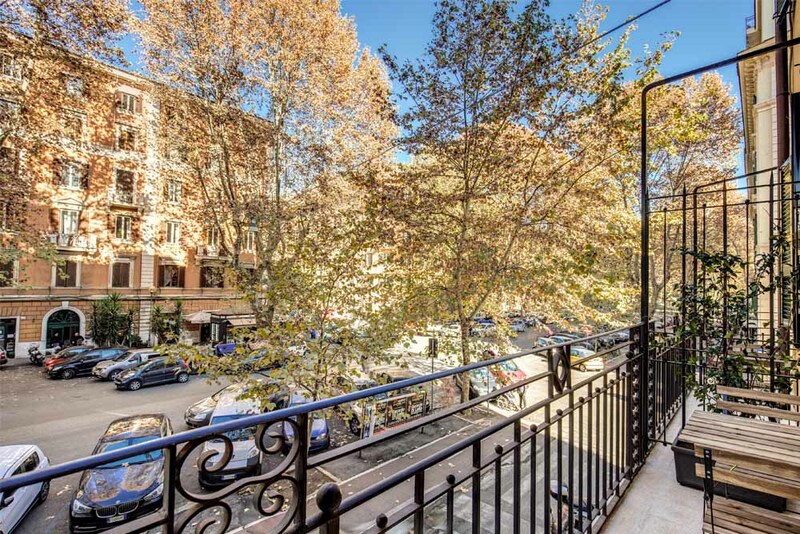 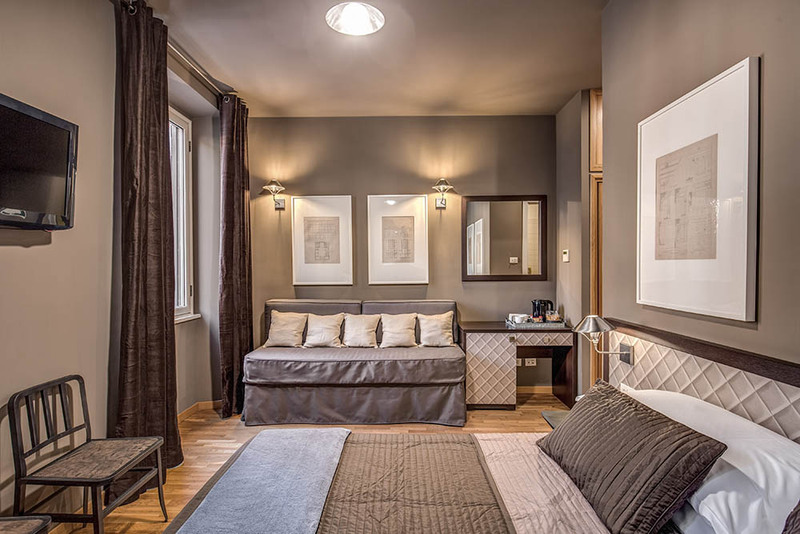 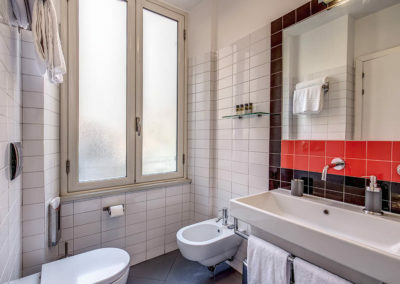 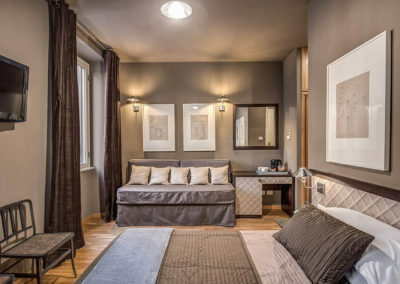 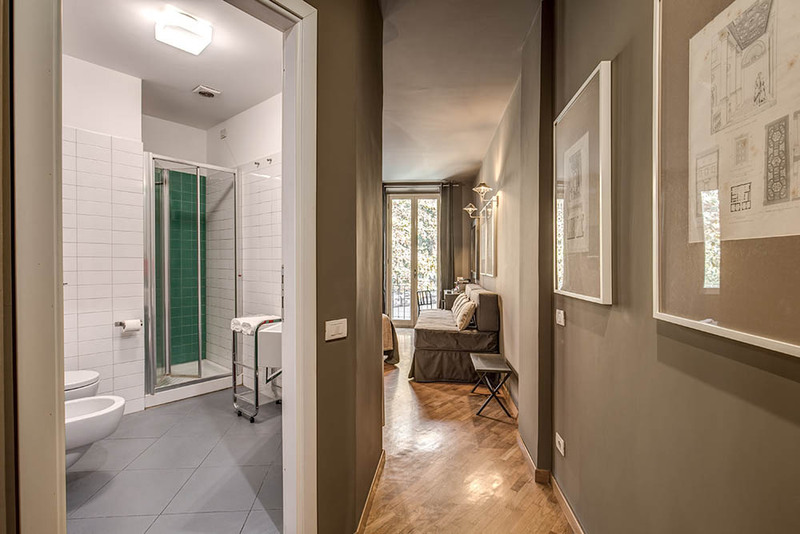 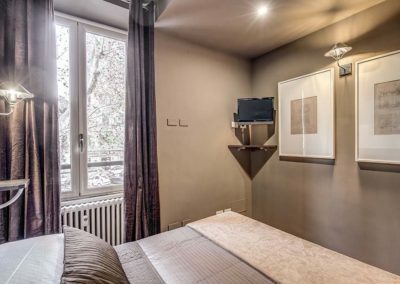 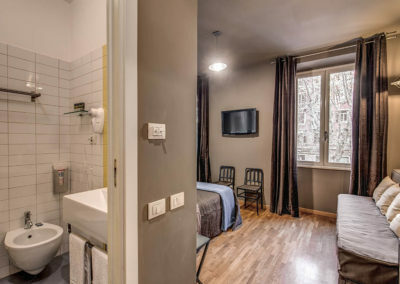 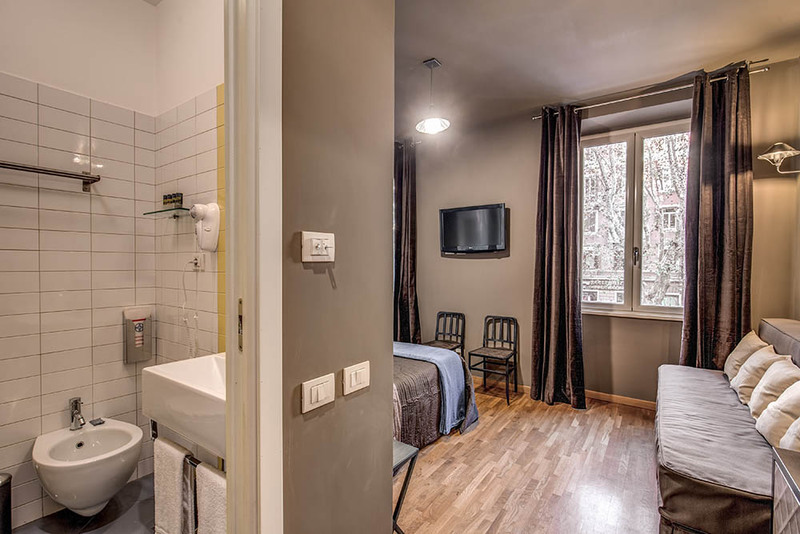 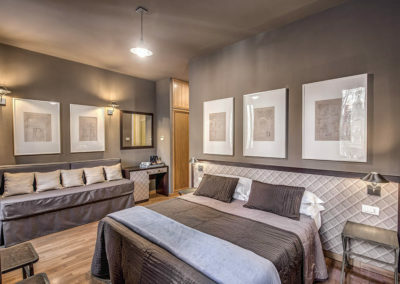 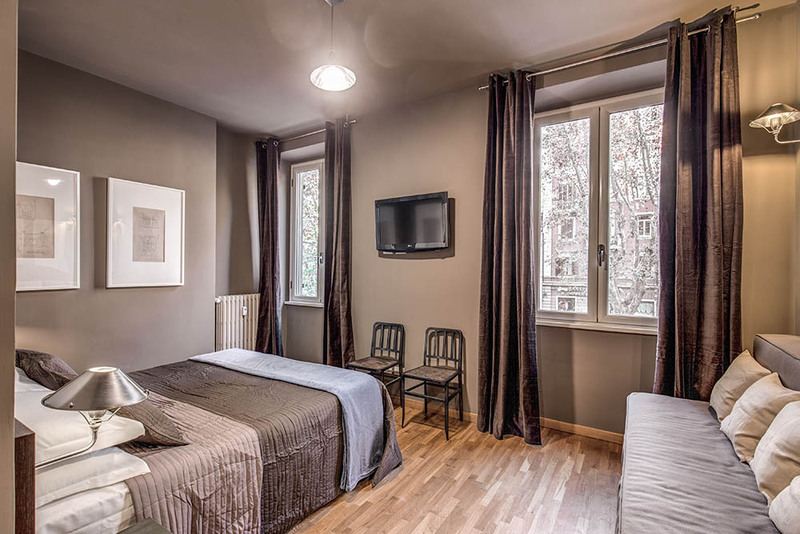 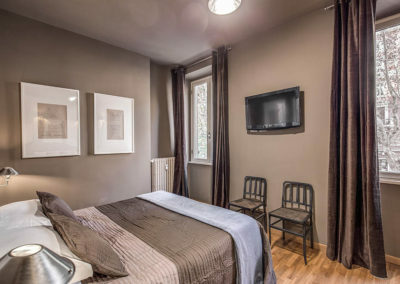 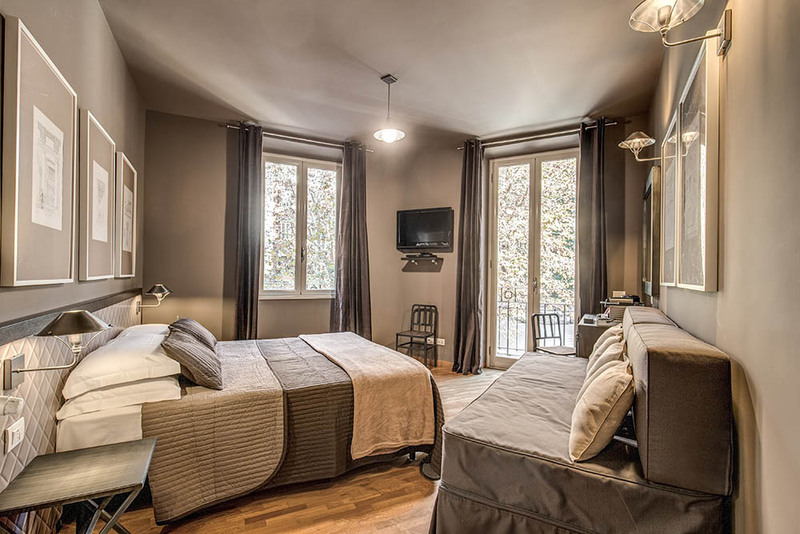 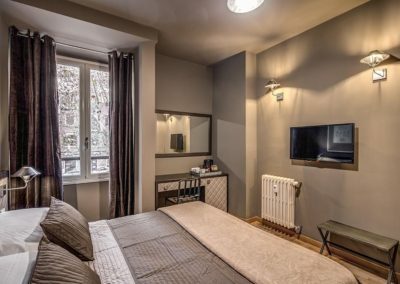 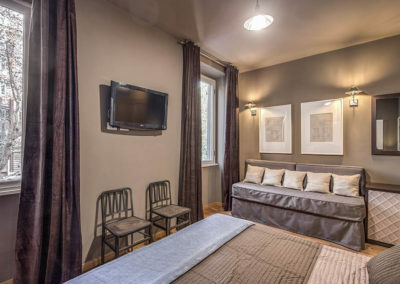 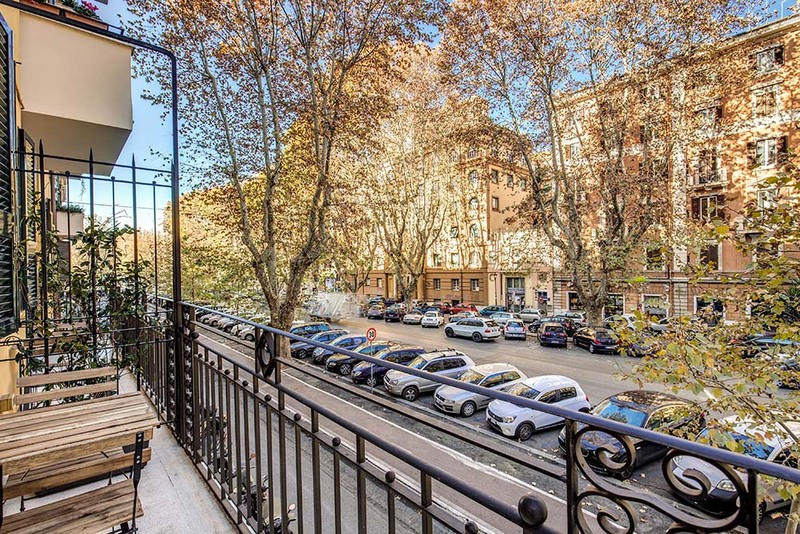 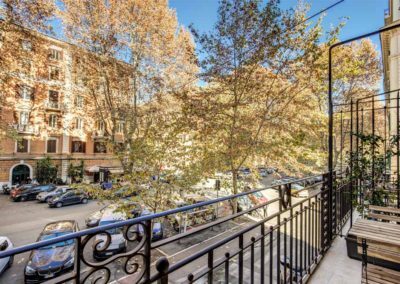 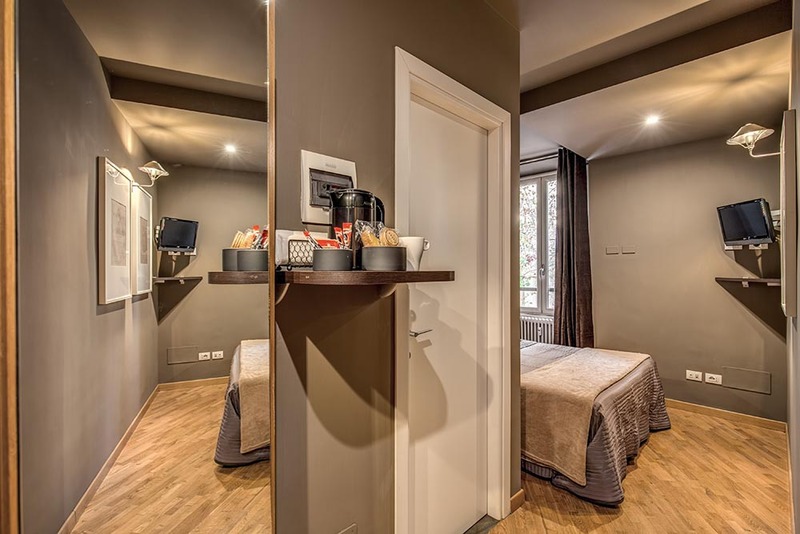 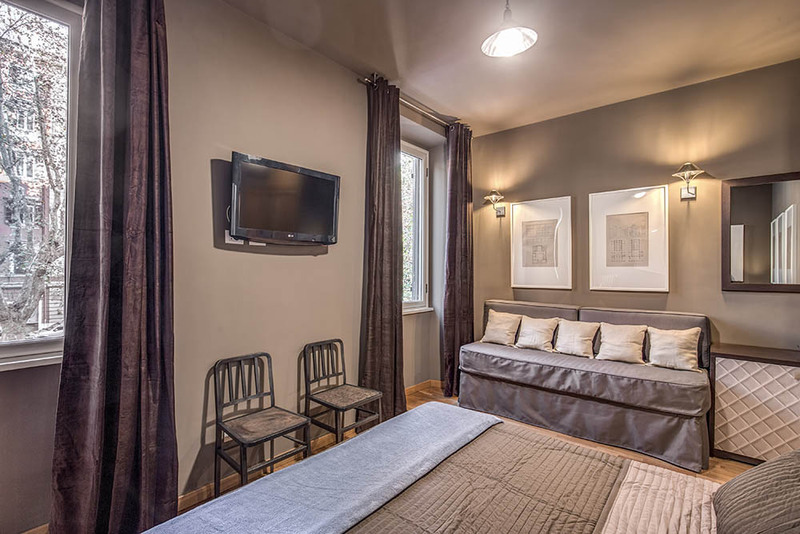 Comfortable and quiet, they have all the qualities for the best stay in Rome. 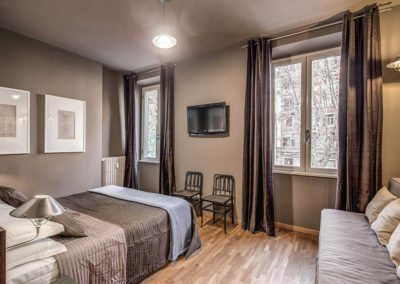 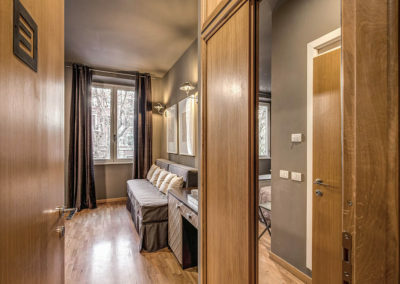 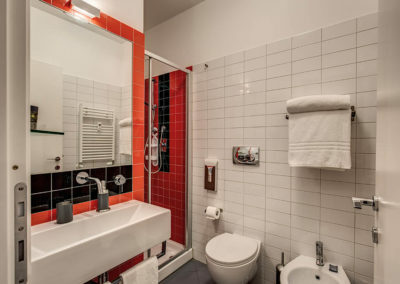 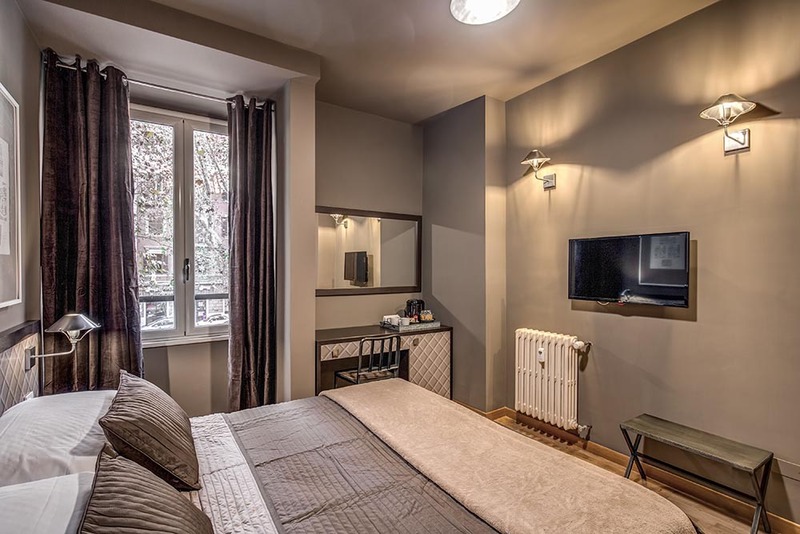 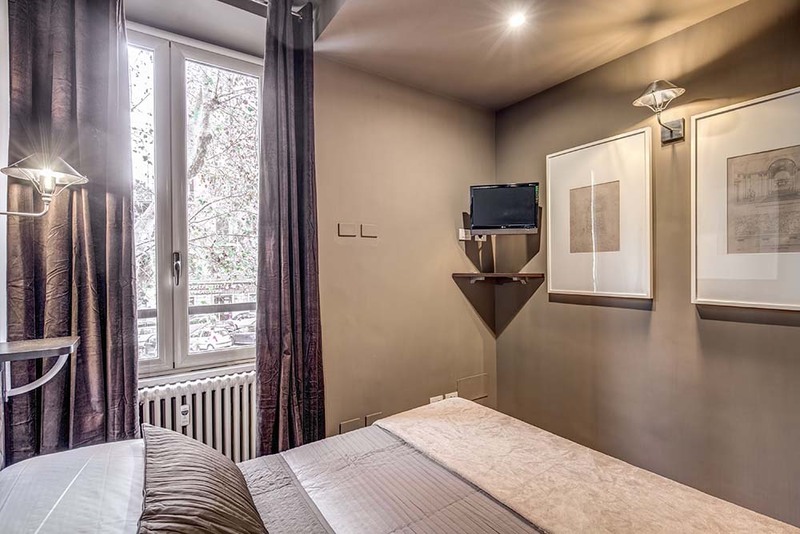 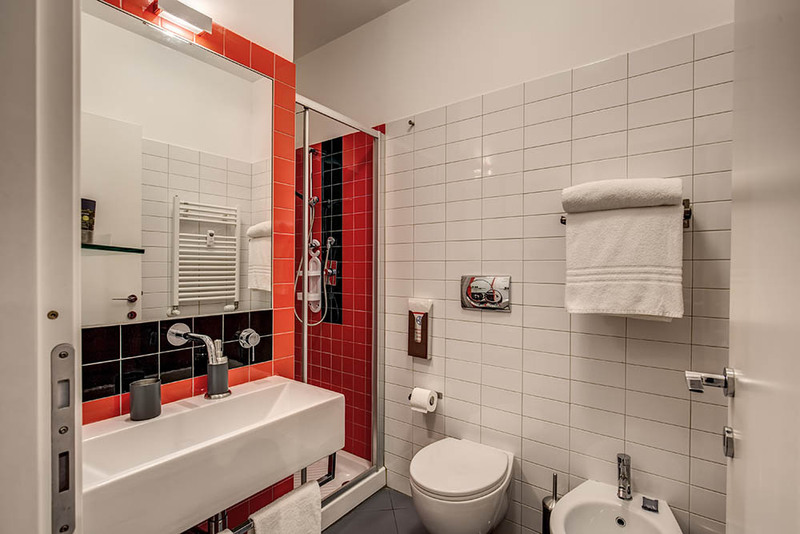 Standard Triple Rooms are characterized by modern design and impeccable services. 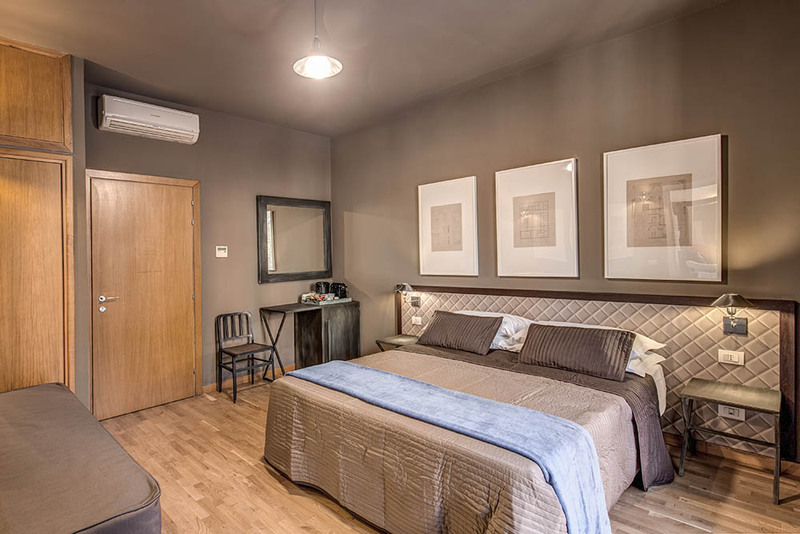 Spacious and quiet, they are the perfect solution if you do not want to miss anything from your stay.